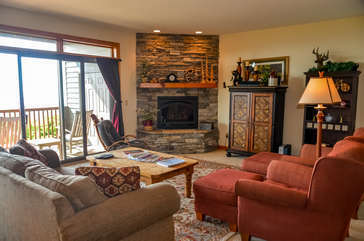 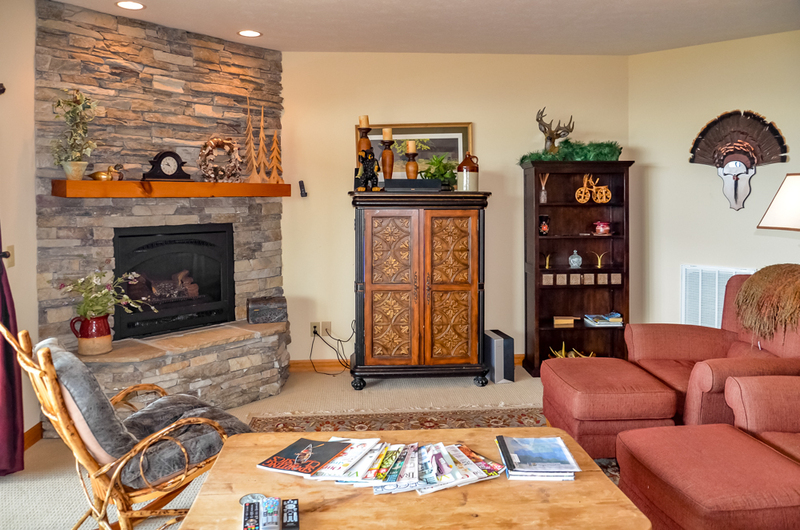 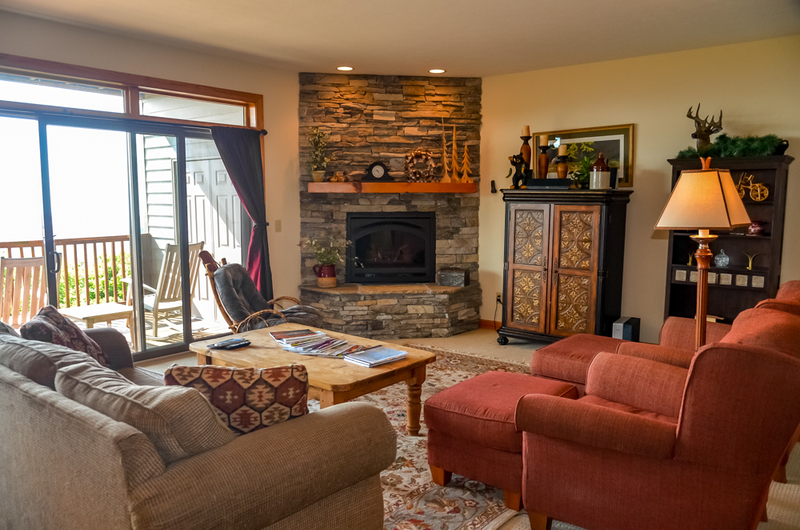 Not just any condo, C 4 Miles is truly a home to enjoy on your next mountain getaway. 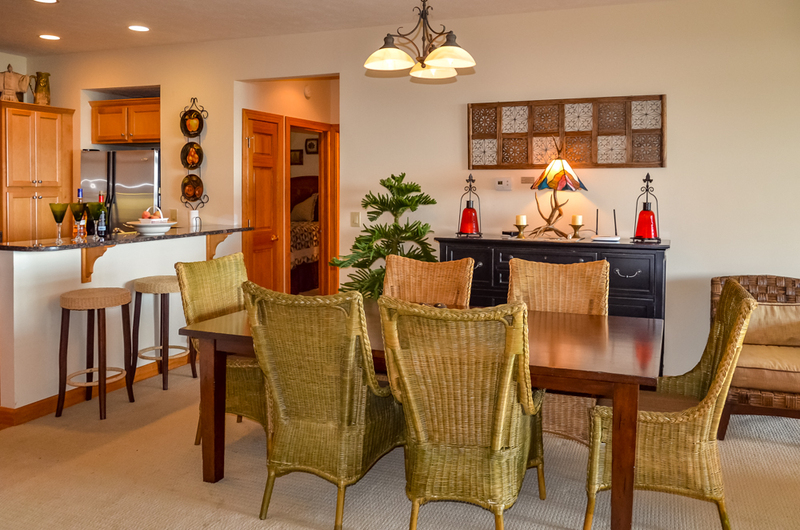 This professionally decorated home stands out with the tasteful, quality furnishings that have been chosen, with no detail overlooked. 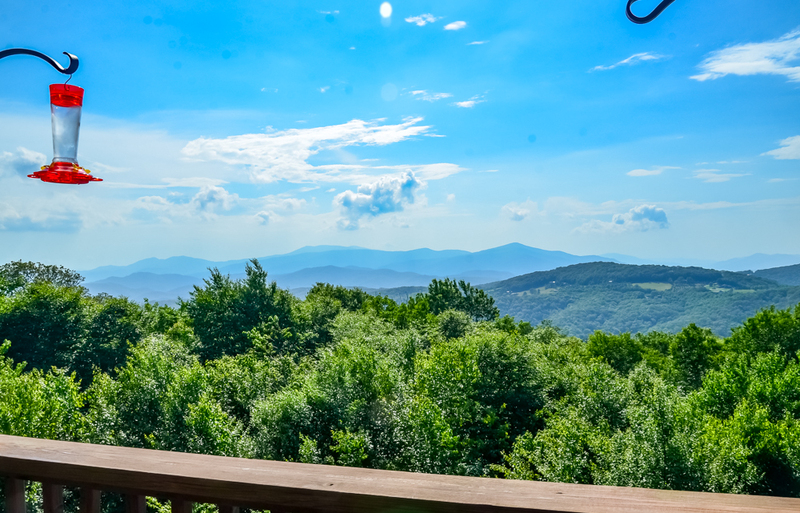 The large deck is always a favorite spot, with views that seem to go on forever - a true pleasure during any season. 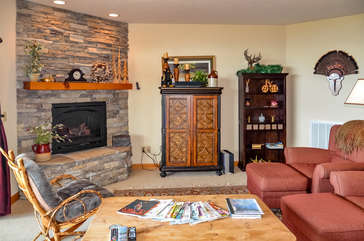 The large living room features a stacked stone fireplace, perfect for snowy winter evenings. In summer, although the mountain breezes are splendid, there is also central AC to ensure your comfort. 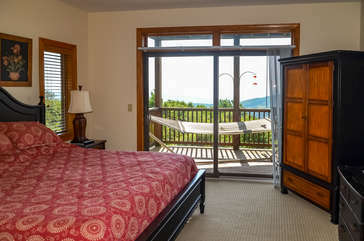 And even without stepping onto the deck, guests still enjoy the views from the living room and master bedroom. 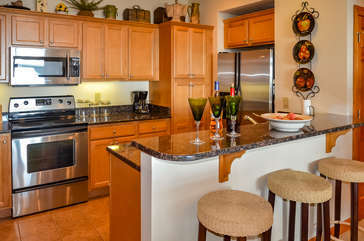 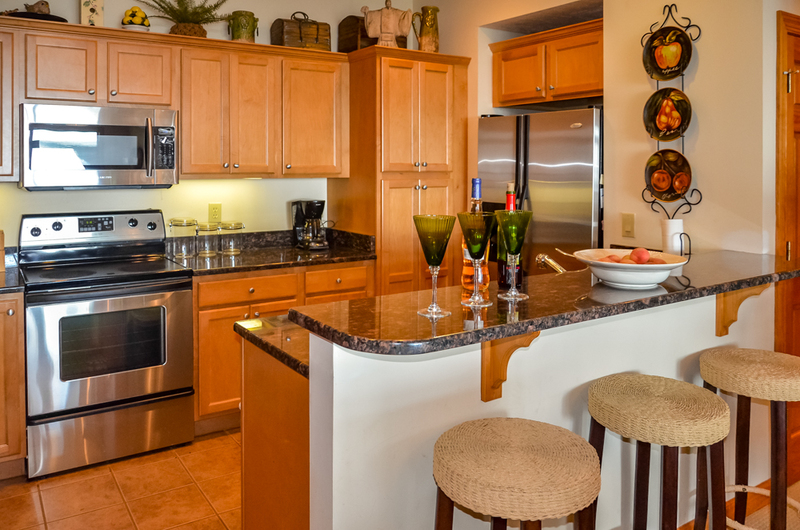 The kitchen is no less than you might expect, with stainless appliances and granite counters. 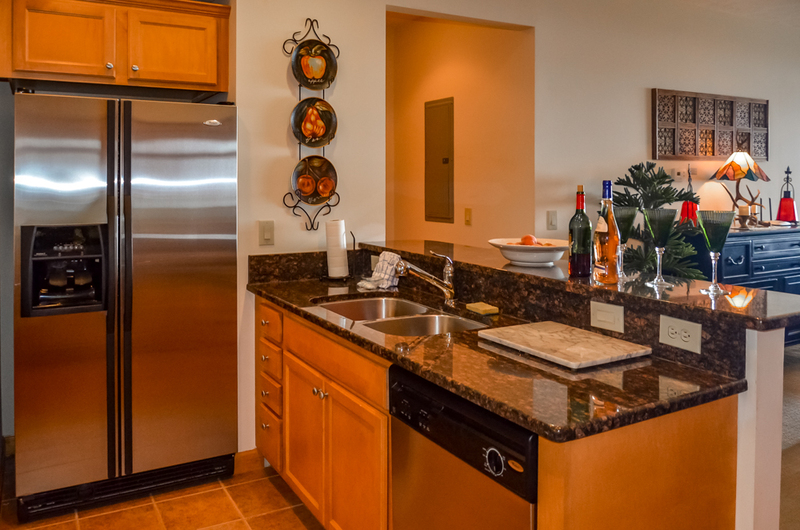 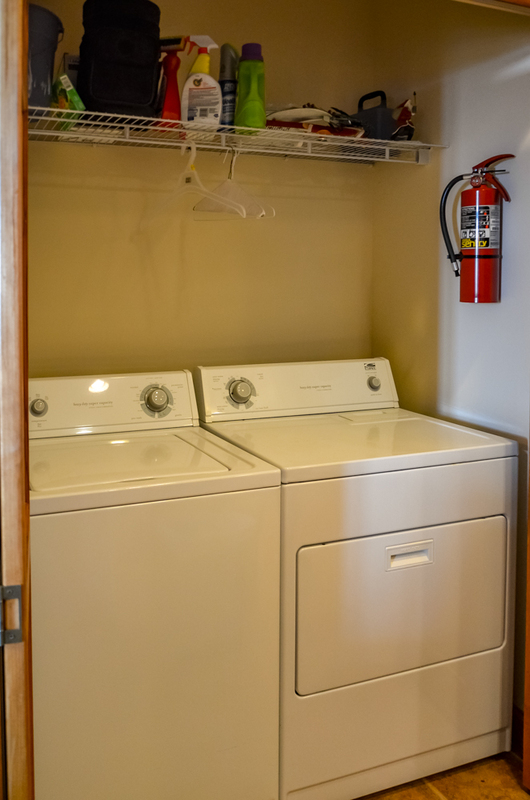 The cabinets are well-stocked with all you will need, and more, making meal prepartion a breeze, and the dining table comfortably seats up to six. 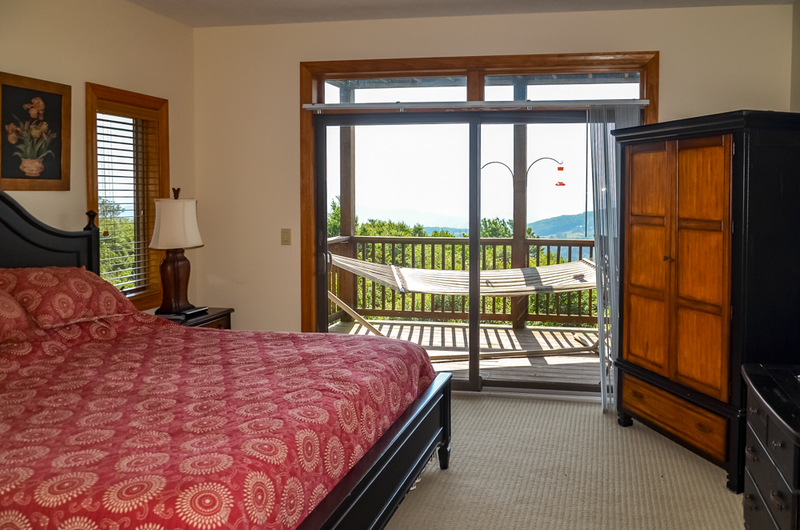 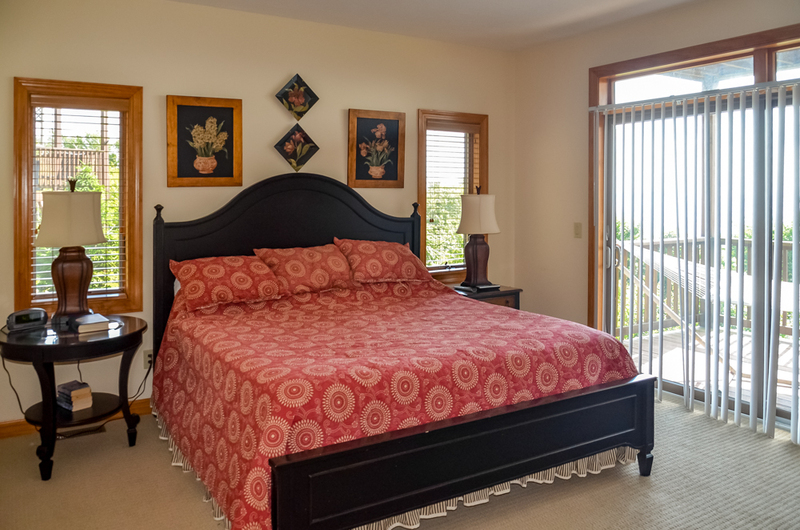 The master bedroom has a wonderful king bed, sliding doors onto the deck, and a television. 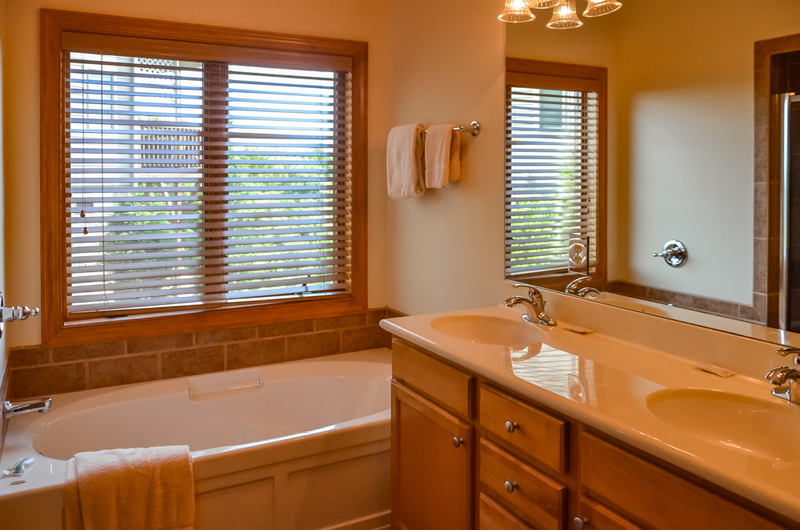 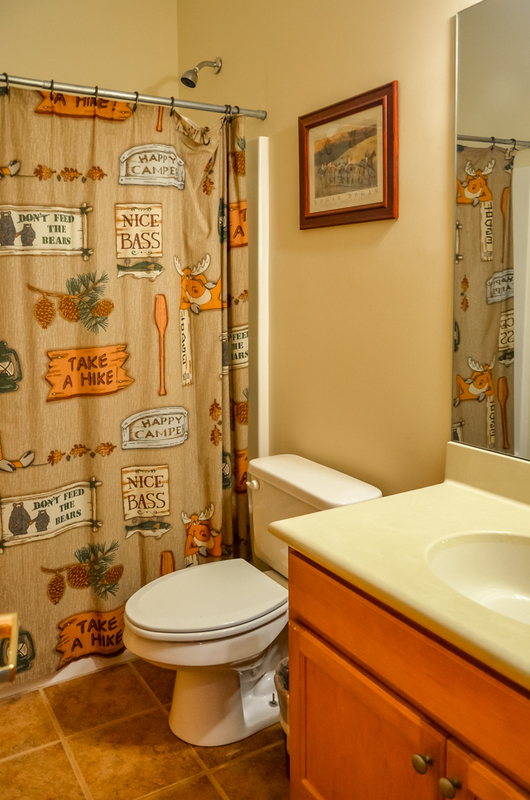 The master bath features a large soaking tub, perfect after a day on the slopes or nearby trails, as well as a walk-in shower. 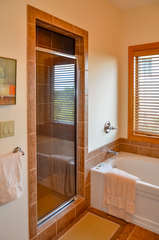 The second bedroom has a queen bed, and just beside it is the second full bath, this one with a shower/tub combo. 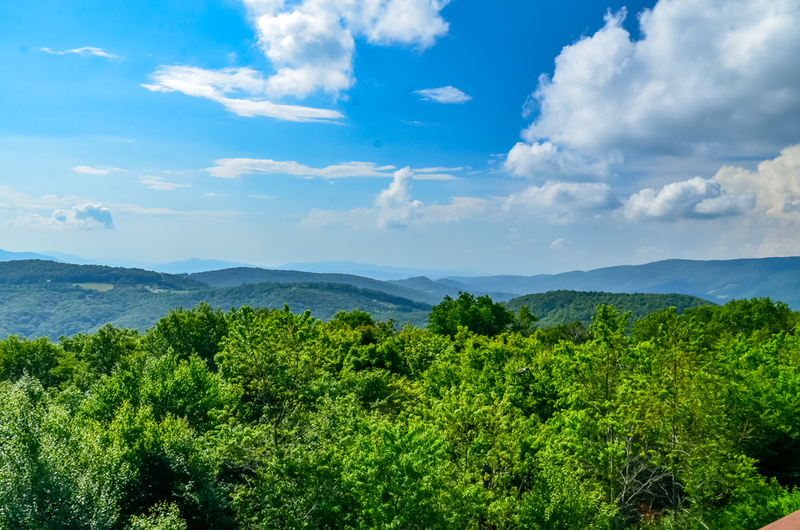 Ready to explore the High Country? 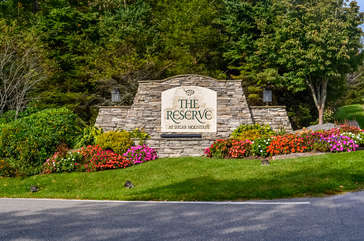 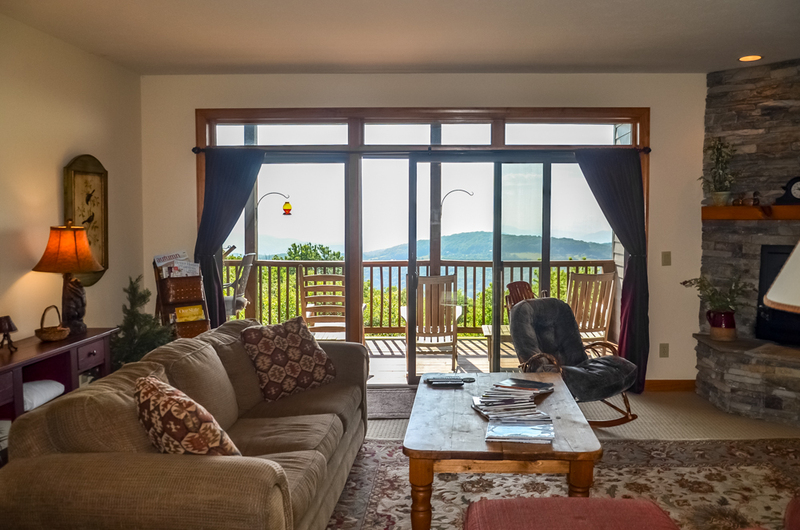 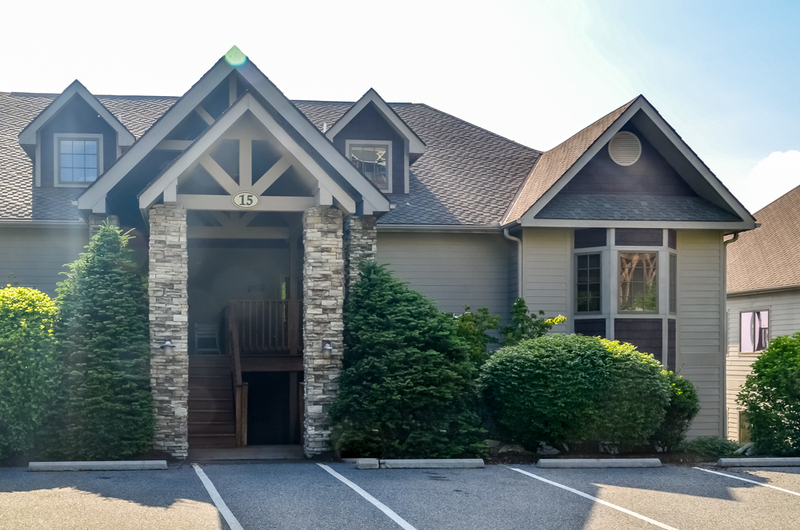 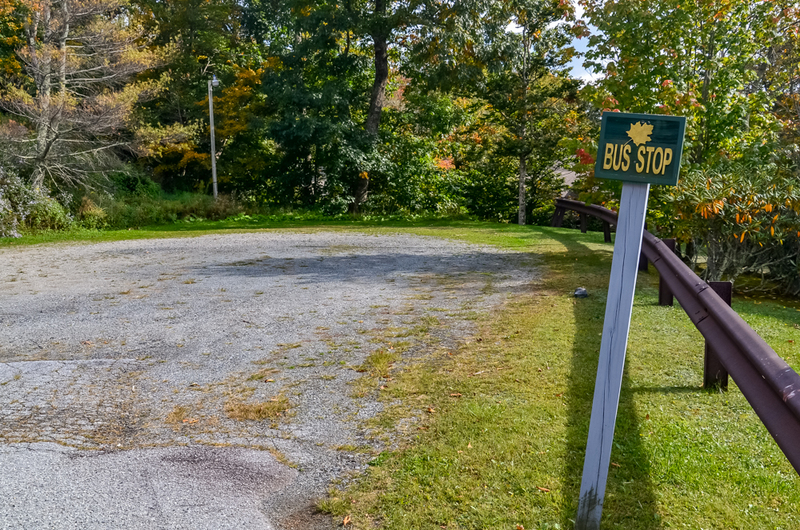 C 4 Miles is convenient to the Blue Ridge Parkway, Grandfather Mountain, Beech Mountain, or take the scenic back roads over to Valle Crucis, Boone or Blowing Rock. Stores, restaurants and shops are just a few miles from this Sugar Mountain rental, so last minute plans are never a problem. 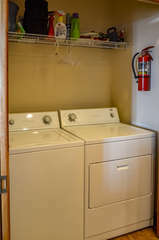 Large Master BR with king bed and private spacious bathroom including large soaking tub and separate walk-in shower. 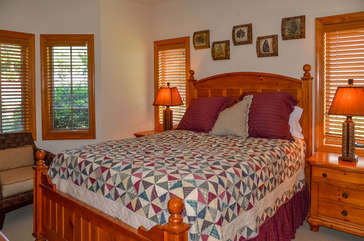 Sleeper sofa in living room for small children. 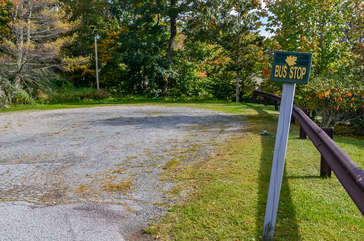 This home has paved access, and offers parking for two vehicles.